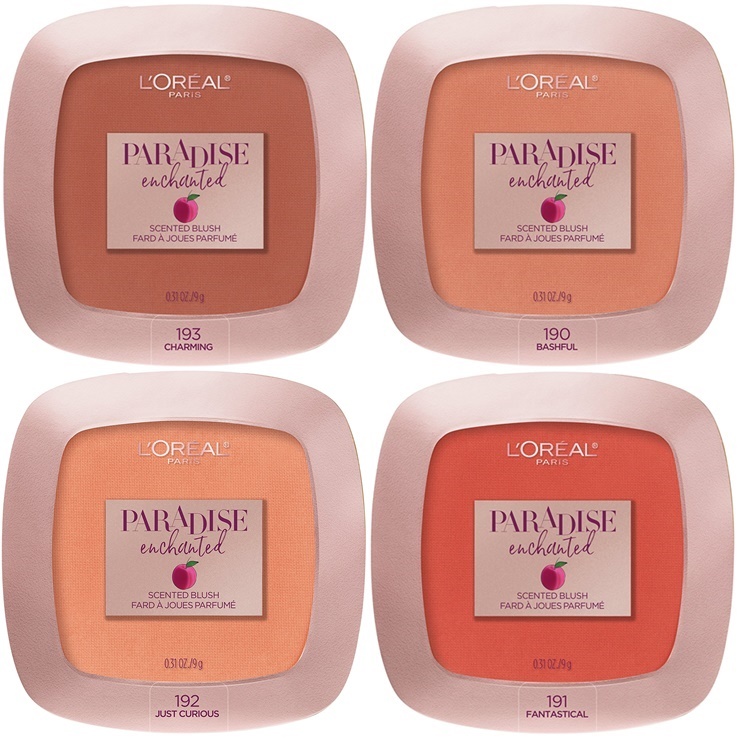 For today’s NEW post Julia and I are going to talk about the L’Oréal Paradise Enchanted Collection. 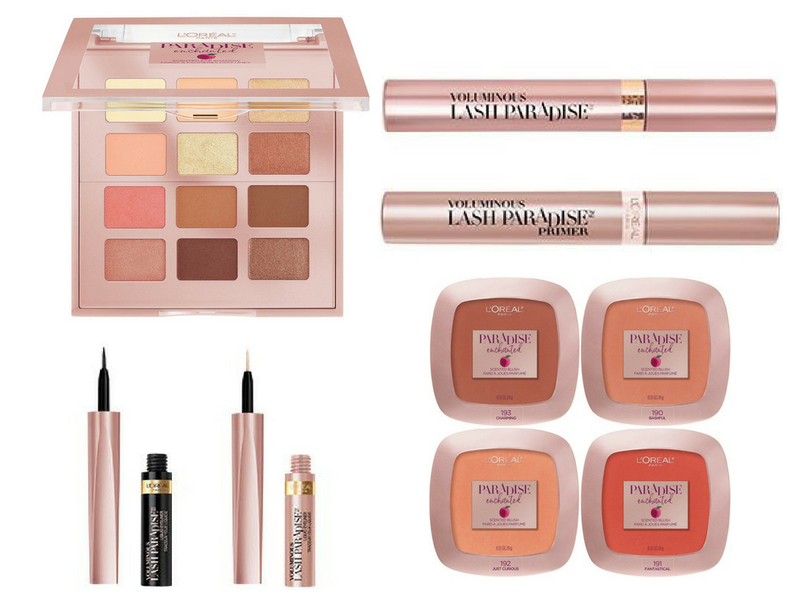 This is the first time we fully cover a drugstore collection but they don’t really release new collections that often . 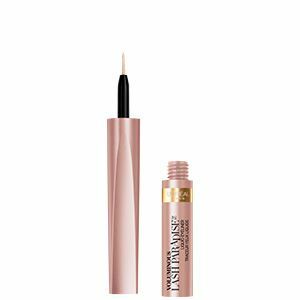 To be honest here in Italy we don’t really find most drugstore brands that you can get in America and if we do it takes forever for a new collection to arrive (talking months). This one thought it was so pretty we wanted to chat about it anyway. 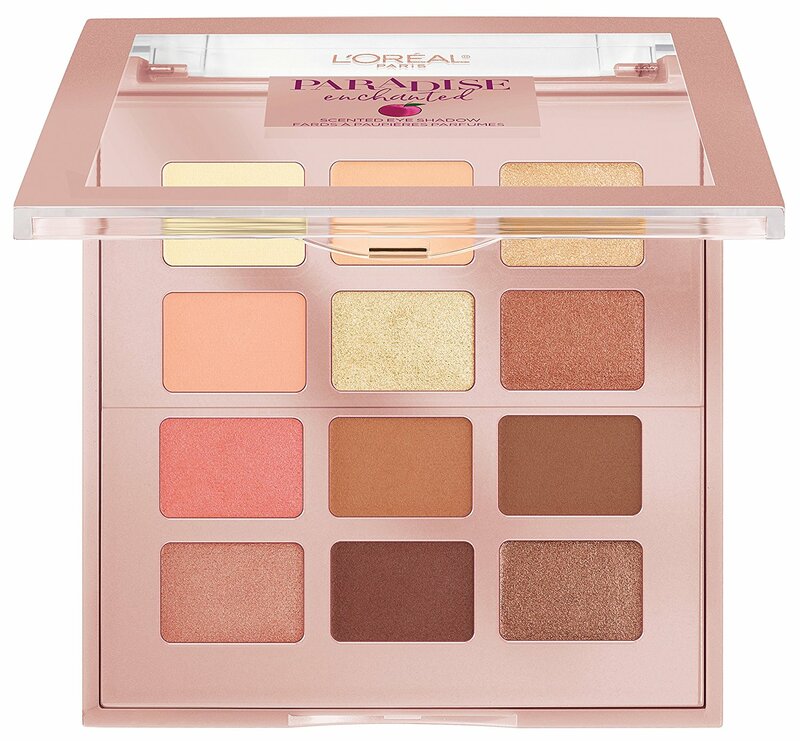 It suppose to smell like peaches and it comes with an eyeshadow palette, four blushes, two eyeliners and two addition to the lash paradise mascara: a waterproof one and a primer. 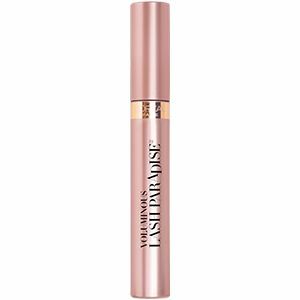 Mimi: I love Lash Paradise as a mascara, you can read my review here, but I don’t use lash primer or waterproof mascara so these are not the product for me but I think they are a nice added touch to the line. 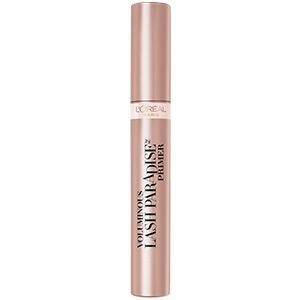 Julia: I haven’t tried Lash Paradise but I’d love too. These two look nice but if I try it I’d probably choose the regular one. 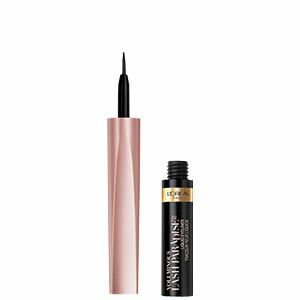 Mimi: I was so intrigued by these eyeliners especially by the rose gold one, I was picturing so many fun looks but I saw some pretty discouraging reviews so I don’t think I’ll get it. About the black one, I don’t use these kind of liners I prefer pens. Julia: They don’t appeal me, I like ones that work, I’m not picky, the rose gold is cool but I wouldn’t buy it. Mimi: It looks very nice and I might get to review it but it doesn’t make my heart beat since I usually don’t like drugstore eyeshadows. Julia: It’s cute, I don’t really trust drugstore eyeshadows but the shade range is nice. I don’t like the packaging. Mimi: These look so pretty, I might have to get a few shades, I like the shade Just Curious a lot. Julia: They are very pretty, I like the shade in the top right corner. Woo! I am loving the cheek colors! I think these are perfect for the summer/fall! These are great! I will def be trying that mascara! I’d love to try scented blush! 😍 And the palette looks amazing!